It barely feels as though 2019 has started and yet we are already in the final week of term 1 and rapidly approaching Easter! Even though time is flying by, it has been a joy to worship the Lord with you and fellowship together each week as a community of faith. In particular, the church camp over the March long weekend was a relaxing and encouraging time away together. We were very blessed to have Eric Bani passionately share about the God whom we love and serve and also to enjoy great fellowship and food in such a glorious location. If you have not been able to attend a church camp at East Freo yet, I greatly encourage you to come along next year! In February this year we conducted a church-wide survey that spanned many areas of ministry and church life. 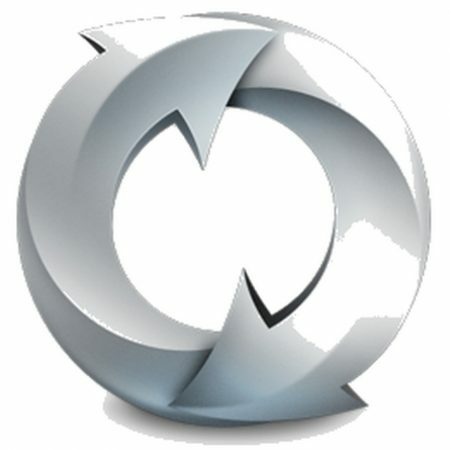 I want to thank you for your feedback and your comments. Some of your feedback is already influencing the church strategy and guiding us as we seek to better minister to the Lord’s people here in East Freo. One small initiative that we have already implemented is the new care@eastfreo.church email address for connecting with the ministry team. As mentioned at the church services, this is not intended to replace existing methods of getting in touch with us, but rather it is simply intended to be an additional way that some of you may find beneficial. During the survey, a number of you also indicated a desire to commit to calling East Freo your home church in becoming members. As a result of this, we have released our updated membership booklet that explains the meaning of membership and also the process for becoming a member. If you would like to find out more about this, please pick up one of these booklets from the foyer and prayerfully consider becoming a member. In the lead up to Easter, we have been working through a series called The Passion of Christ in which we have been looking closely at Jesus’ final week on Earth before the cross. I have recently written an article that goes deeper into the theological and historical tradition behind this name and you are welcome to read that article by clicking here. As the culmination of our series, we look forward to gathering together to remember Christ’s sacrifice on Good Friday at 9am and then celebrating his Resurrection on Easter Sunday at 10am. Please note that there will be no Saturday service on the Easter weekend due to the Easter services. 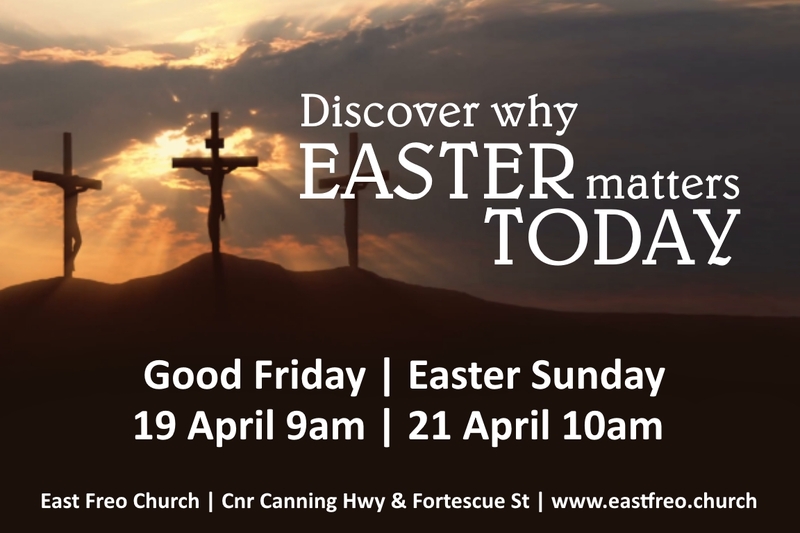 I would like to encourage you to invite your family and friends to join us this Easter. Both of our services will be family friendly with an evangelistic focus and will be no more than one hour long. You are welcome to pick up a flyer from church, or download the flyer from our website here. Let us be praying that God will draw many people from our community to himself this Easter and that they will respond to God’s call upon their lives. After Easter we will move quickly into May Missions Month where we will begin a new 3-part mini-series looking at a few chapters in the book of Daniel. The focus of this series will be to help us answer one of life’s biggest questions – how can we impact those around us for Christ? During May Missions Month we will also highlight a number of key missionary groups that we are involved with at our church and we will also be blessed by having Dan McGrechan, the new state director for Global Interaction, come and share with us on the final Sunday in May. Finally, I’d like to inform you of a few staff changes this year. Since January, pastor Adam’s working hours have reduced from 4 days per week to 3 in order to begin his accreditation process to become a fully accredited pastor within Baptist Churches WA (BCWA). This requires him to complete additional theological studies which he will work on over the next few years. As a result, Adam’s ministry focus has changed this year and he is now overseeing Youth and Young Adults. If you have any questions or feedback regarding these areas of ministry, please come and discuss with him. Please also be aware that as a result of these changes, my wife Caren is now overseeing worship and the planning and rostering of our church services. Corinne’s focus has also changed slightly this year. In the past, Corinne has faithfully overseen all of the financial bookkeeping for our church, however, we have recently moved the bookkeeping role across to BCWA. This has freed up some of Corinne’s time such that we are now very blessed to have her focussing on pastoral care to the elderly in our congregation, in addition to her general church administration duties. It has been a blessed few months serving the Lord here at East Freo church. I want to thank you all again for your feedback and please know that Adam, Corinne and I are always happy to meet up and chat with you in person if you have any pastoral needs or you have feedback you would like to share. May the Lord encourage and strengthen you and may you find great joy in him this Easter! © 2019 East Freo Church.